WE ALL KNOW it’s possible to catch a cold from someone who’s under the weather. Did you know cavity-causing bacteria can be passed from person-to-person too? While sugary treats often take the blame for causing cavities, the real culprits for tooth decay are bacteria. Streptococcus mutans and Streptococcus sobrinus are bacteria which stick to our teeth and eat food particles left behind from our last meal, producing acids which threaten gum health and cause tooth decay. And just like cold-causing bacteria, these bacteria like to travel. Whether it’s through sharing a drink or kissing a loved one, cavity-causing bacteria can be passed from person-to-person the same way many other bacterial infections can. Studies have shown that “catching a cavity” is not only possible, it happens far more often than you might think. One of the most common transmissions is from parent and child. Cavity-causing bacteria is commonly passed along to a child when a mother or father tastes food to ensure it’s not too hot or when he or she “cleans” a pacifier by sucking on it before handing it over. What can you do to reduce your risk of transmitting these cavity-causing bacterias to someone else? Chew sugar-free gum—this promotes saliva production and washes away plaque and bacteria). Be mindful of drinks and eating utensils you’re sharing and the risks that are involved. Be aware of other behaviors which may spread these bacteria. Nobody wants to inadvertently “catch a cavity.” Our practice is committed to providing you with the best information possible to help you create a healthy and resilient smile. If you have any questions about this, be sure to ask us! 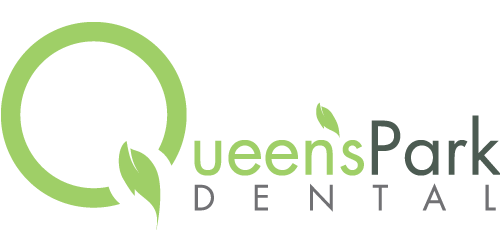 We love visiting about your oral health. You can also comment below and reach out to us on social media. Thank you for reading our blog! We value our relationship with you as our patients and friends! Top image by Flickr user bigbirdz used under Creative Commons Attribution-Sharealike 4.0 license. Image cropped and modified from original.